CyberConnect2 Winter Campaign 2018 Merch! Earlier today, CyberConnect2 released an announcement for the Winter Campaign 2018. There’s all sorts of awesome new and old merch that will be available for a limited time, so be sure to check it all out!! ☆ The campaign will be running through Friday, December 29 until Monday, January 15. Just in time for Christmas! This week's Super Fan Friday features Kurtis, cosplay extraordinaire and .hack aficionado. Be sure to leave some love and feel free to let us/ him know what you thought in the comments. Name: Kurtis Goodhew Country: Canada Occupation: Retail Sales Associate Hobbies: Playing Video Games And Writing Dislikes: currently undetermined Favorite game of all time: InuYasha: The Secret of the Cursed Mask Hidden Talents: Unknown Favorite anime/cartoon/movie: InuYasha Favorite CC2 game of all time and why: The entire .hack series for the characters and lore. Best CC2 game memory: Introduction of Piros the 3rd, revelation that Ovan is Tri-Edge, and Cubia’s first appearance at the end of .hack//INFECTION Picture explanation: Just my favorite characters (at the time I cosplayed as them) except for “human” Skeith which I just wanted to mess with and my current collection of the .hack series, which I’m hoping to expand with future installments of the series and trying to gather older ones, such as the .hack//ENEMY cards. Dream/Aspiration in the future: To become a Voice Actor We'd like to wish Kurtis good luck in the future in becoming a voice actor. You never know, you may hear him in one of our games one day! forgotten. Making it difficult to get them. Favorite game: Too many choices to pick from aside from .Hack. Hidden Talents: Not really sure Favorite Anime: Would have to between Gundam and Ghost in the shell. I enjoy futuristic and technological things. Favorite CC2 game. It would be fair to say as I have only had experience with the .hack games. Briefly explain the pictures you sent us: My small .hack collection of the original games and some of the anime. As well as myself cosplaying Haseo's first form Dream/Aspiration: Travel around more. Not just with the US but internationally as well. We hope you guys are excited for the weekend! To give you something to do while you're killing time at work/school/life, here's another Super Fan Friday to check out featuring the awesome and dangerous when cold, Derin ! Name: Derin White Country: U.S.A Occupation: Retail worker Hobbies: Gaming, crocheting and knitting, sewing Dislikes: Rude people, mansplaining, Christmas music Favorite game of all time: Very difficult to answer... Tie between .hack (original 4), Sailor Moon: Another Story, Persona 2: Eternal Punishment, Dragon Age: Origins, and Guild Wars 2. These are all great for very different reasons and can't choose one over the others. Hidden Talents: Get so cold that my hands will leave burn marks on people's arms Favorite anime/cartoon/movie: Sailor Moon Crystal/Teen Titans (original series)/Galaxy Quest Favorite CC2 game of all time and why? : .hack//Infection because I was stationed overseas when it came out and it was such a wonderful distraction going out and getting drunk after watch because there was nothing to do. I probably would be an alcoholic like all my other shipmates if it wasn't for that game. Best CC2 game memory: Can't remember if it wasn't .hack//Outbreak or .hack//G.U. Rebirth. Got to the last boss and started to have a panic attack because last boss fights are so hard. Defeated it in like minute, and felt so silly about over thinking it. Briefly explain the picture you sent us: This is everything .hack related I've collected over the years. Most of it is in Japanese because it took so long for stuff to come out stateside. Dream/Aspiration in the future: Pay off my credit card bill and find a new place. I'm boring. Don't forget to show some love. Have a great weekend everyone! December is here and Christmas is near, so our early present to you is the lovely Xelles and her awesome cosplay for this week's Super Fan Friday! Check it out! Show some love! Let's get festive! Name: Xelles Country: Canada Occupation: Barrister Hobbies: "Cosplay, gaming, playing piano" Dislikes: "Cabbage" Favourite game of all time: ".Hack//I.M.O.Q" Hidden Talents: "I'm an okay artist" Favourite Anime/Cartoon/Movie: "Steins Gate, Legend of Korra, Speed" Favourite CC2 game of all time and why? : ".Hack//I.M.O.Q I'd say entirely because of BlackRose, I love her character and how she opens up. She acts tough, a little rough around the edges and has a hard time trusting and opening up to people, and admittedly I saw myself in her doing everything she would have, if something ever happened to my younger sister IRL. An older sister has to be tough." Best CC2 game memory: "Playing .Hack//Infection and finally beating Skeith for the first time!!! (Expect the dance of 'I beat Sephiroth' only, .Hack style)" Briefly explain the photos you sent us: "The photos are of myself as an inspiration of what Azure BlackRose could have been in .Hack//G.U if she were to exist, as inspired by this deviant art piece by En-Drance and my own interpretation of the blades from Azure Kite. The blades on my friend's twin blades were also made by me, made from 7 layers of plywood and 1/3inch aluminium 'guards' that fold for convenience. They are quite heavy but con-proof (won't break)" Dreams for the future: " My aspiration for the future is to earn enough money to travel the world with my travel-bug partner"
This is just a very early, preliminary announcement for a fan contest that I want to set in motion. The basic premise behind the idea is for fans of the .hack series share their enthusiasm with others while also targeting potential new fans! *If anything is unclear or if I left anything out of this post, I will fix it later! Please understand if there are any changes to these details. Some of the goodies I have to use as giveaway items include: New World Roundtable featuring Nino CD .hack//DRAMATIC DVD .hack//Link PSP Game .hack//re-birth Disc historical Disc Blu-ray .hack//G.U. Returner DVD .hack//4koma .hack//CELL Vol.1 .hack//G.U.+ Manga Vol.2-5 .hack//G.U. Vol.3 Complete Guide .hack//G.U. TheWorld Vol.05 I have one more special item available. Please keep reading to find out more! The way to enter is simple. Just go on twitter and talk about the series. You can post artwork, fanfics, photos of your own gameplay; really anything goes! But the one thing you MUST post are the following tags: #dothack #dothackcontest Winners will be chosen at random from the contest hashtag, so the more you post, the more likely you will be chosen for a prize. Only one person is eligible to win, so please do not create sock puppets in an attempt to win more than one item. Likewise, I am only able to send one item to any given address. This is to avoid one person faking a friend and claiming more than one item. Yes, this has happened in the past… As for the prizes, I’m very sorry, but they are all used items and in Japanese. The games, DVDs, and Blu-rays may only work on Japanese systems. I would also like winners to be free to choose which item they’d like to receive. This will be decided at a first-come-first-served style. Items are completely free of charge since I’ve already paid for everything, but I would like to ask for the shipping fees to send the items to you. This means that if you are a chosen winner, you have the right to claim or reject your winnings. I will continue to choose winners from the list until all items have been claimed. Shipping fees must be sent via PayPal and I cannot send your item until I have received your payment. Here’s a brief flow of the contest: You post .hack stuff on Twitter with the above hashtags. At the conclusion of the contest, I will pick winners at random from the contest tag. I may also record this live so you can see how I do this. I will contact these people via Twitter DM and ask which item you’d like to claim. This is when you may choose to forfeit your winnings if you are unable to pay for shipping. (Please understand that I am just a fan myself and am financially unable to offer a completely free contest.) I will package your item up and get an estimate from the post office. Items will be shipped from Japan via EMS. This is one of the more expensive shipping methods, but it is also the safest and fastest method that comes with a tracking number. Depending on the weight of your item, shipping will likely be anywhere between $8-18. The heaviest book, the .hack//G.U. Vol.3 Complete Guide might be more. I won’t know for sure until I take the items to the post office for an estimate. Once I have an estimate, I will contact you in which you may again accept or deny your winnings. Should you accept, this is when I will give you my paypal address for you to send the shipping fees. Once I receive the fees, I will send your item. Contest Deadline The contest will run from NOW until roughly 10am on December 26 (Japan time). This date & time is subject to change. Last but not least, I also have an extra, unopened .hack//G.U. Last Recode Premium Edition. I would like to use this for ART ENTRIES ONLY, but I feel this is being overly inclusive, so we’ll see… I’m up for suggestions. It may also be possible to ask CC2 CEO Matsuyama Hiroshi for his autograph… I don’t know if I can get this accomplished, however, so please don’t get your hopes up. THE MAIN GOAL AND PURPOSE OF THIS CONTEST… …is for fans to have fun discussing the series, to spread the word about it, and… it’s mostly to boost the hype. If you love the series, I think this would be a fun way for you to get involved and share that passion with others! And also, if you have any questions, comments, or suggestions or anything, please feel free to let me know! What an awesome Super Fan Friday we have for you this week! Check out Sergio's insanely cool .hack collection and pics from his .hack party! It brings us great joy that we have such awesome fans like Sergio around the world! Name: Sergio Castrejon Country: United States Occupation: T-shirt screen printing trainer ( I print and teach trainees how to print on t-shirts) Hobbies: Playing games, watching anime, drawing, photography, cosplay, research, graphic design, and watching youtube videos. Dislikes: Wasting time waiting or going in the wrong direction, being woken up during a nap or the middle of my sleep, and losing personal objects. Favorite game of all time: The legend of Zelda: Majora’s Mask Hidden talents: I like to think I can adapt to a new game quickly just by learning its few controls Favorite anime/cartoon/movie: Favorite anime would be Fooly Cooly (FLCL), while favorite movie comes down to either “Scott Pilgrim Vs. The world”, “Gremlins 2”, or “Back to the Future” part 1. Favorite CC2 game of all time and why? : I'd say it would have to be “.hack//G.U. vol. 3 Redemption”. Theres is two main reasons why. 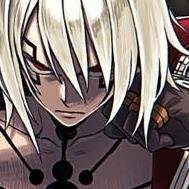 One; I felt connected more connected to Haseo as character, the way he was, the way he changed and how he turned out in the end. I felt I learned a lot from his experiences and related them to my own in real life. Meeting new people, letting them into your life, and the fortitude to keep moving forward through hardship even when you don’t end up with the result you wanted takes a lot of courage. My second reason; the game also connected a lot of dots for not only the G.U. trilogy, but also for the .hack series from before in the timeline. Bringing old characters back from the original games into G.U. like Elk and Wiseman, Being able to fight The One Sin which made Blaming and Orca the Descendants of Fianna, seeing Aura, connecting the forest of pain from .hack//ROOTS, and even finding Herald at the end of the event. I loved how it brought nostalgia back and incorporated it in its own essence of the G.U. series. Best CC2 game memory: In .hack//QUARANTINE, after you finish the game you get a few extra quests. One of those is the quests to go and bring back Mia to have her back as a character. In that dungeon you have to repeatedly keep data draining bugs to defeat them as the levels of infection on Kite keep increasing while you go lower and lower into the dungeon. It took me about a month playing every day to try and beat that dungeon and get Mia back since every time I tried the levels of infection would get severe and lower my level, give me status effects or just a plain game over. I had no Idea that Mia was lying at the end of that quest and didn’t know if there was an easier way since game walkthroughs weren’t fully developed, but the challenge of getting to the end of that dungeon was enough to keep me going. Once I beat the dungeon, I had such a great sense of accomplishment, it might have just fueled my love for the franchise for adding to the experience and the theme of the story, for when you work hard for something, it gives more meaning to the things that you want in life. In this case, clearing a dungeon to save a character. Briefly explain the picture you sent us: My friends and I had a .hack//G.U. Last Recode release party to not only commemorate the game coming out, but the return of .hack. Since we’ve had a long history with the game since we were teenagers, seeing the release of something new from a beloved franchise made us want to hold a party for it, especially now that we could host a party and being in our late 20’s. We figured we should theme everything .hack so we brainstormed for an afternoon on what we wanted to do and serve. On the day of we figured to also take a picture of the collection we had. Most of the collection in the picture is mine, while the plushies and the .hack//SIGN vol 6 DVD are my fiancé’s. She has her own collection and another friend who attended also has more stuff we don’t own, but as we kept stacking and displaying one collection, it started getting complicated to keep items in place. Seeing the entirety of the collection displayed on my living room table made me realize how the universe of .hack is so intricate and fascinating as the same time. So many books, games, and anime made it what it is today. I can’t think of any other franchise that can compare with he universe of .hack. Dream / Aspiration in the future: I don’t think I have a lot of major goals planned in my future. I feel that the older you get, the more entangled you get with life and your aspirations may change as well. My current mission is to be able to buy a home, pay off my student loans and not live paycheck to paycheck. But if there was a goal I wanted to accomplish, that would be to focus on my hobbies. I wouldn’t want to turn them into a profession, I just want to be able to love doing what I do for fun. I already do cosplay so I’d love to give more attention to that, and I also like to do photography so it would be nice to take photographs of beautiful landscapes or people. But those things require money which makes it hard when you’re responsible managing a budget. One thing I do have planned for the future is to some day open up a shop with my fiancé and sell items we designed or made at conventions and meet new people. I would also love to learn how to play the cello one day though, that's always been an something I’d like to do before I die. In the end it all takes time, whether I can do these things tomorrow or years from now, its all up to me.